Apple's widely expected trio of new iPhone models will all feature True Tone displays, according to investment bank Barclays. Barclays said the tentatively named iPhone 7s, iPhone 7s Plus, and iPhone 8 with an OLED display will each include a "full spectral sensing" ambient light sensor for the purpose of a "True Color" screen. The sensors are expected to be supplied by Austrian semiconductor manufacturer AMS. For the expected iPhone 7S models, as well as the iPhone 8, we think ams's content increases due to the inclusion of its full spectral sensing ambient light sensor, as already seen in the iPad Pro for that device's True Color screen functionality. We estimate this to be a material step-up in content from the $0.60 range to $1.00. Apple's only existing device with a True Tone display is the 9.7-inch iPad Pro, which uses advanced four-channel ambient light sensors to automatically adapt the color and intensity of the display to match the color temperature of the light in its surrounding environment, whether indoors or outdoors. In some ways, a True Tone display is similar to Night Shift, a newer feature on the iPhone and Mac that, when enabled, shifts the display to a warmer and yellower temperature. The feature is based on research that shows exposure to blue light during the evening hours can disrupt or delay a person's sleep. The confusion may have stemmed from the fact that Kuo said the iPhone 7 would "copy the panel features of the 9.7-inch iPad Pro." However, Kuo never specifically mentioned True Tone, but rather the adoption of a wide color display based on the DCI-P3 color gamut, a prediction that turned out to be accurate. Today's research note was compiled by Barclays analysts Andrew Gardiner, Hiral Patel, Joseph Wolf, Blayne Curtis, and Mark Moskowitz. That's just true tone bro! If the iPhone Edition actually starts at $1000... and if they actually release two more models with the 2014 design...I think it will be time to finally jump ship. This would be a nice advantage if true. Once you experience this feature in the 9.7 Pro, you really appreciate it how it adjusts to warmer tones. Good luck artists! I hope Apple's concept of how your stuff should look matches your own concept. This is just stupid. I love the True Tone feature on my iPad Pro. An artist / photographer can create / capture whatever they want in whatever color they want. However, what it looks like to the viewer is going to depend upon ambient light when and where it is viewed. The statue of Venus would look more orange if it were illuminated by candle light and more blue if it were illuminated by white LEDs. 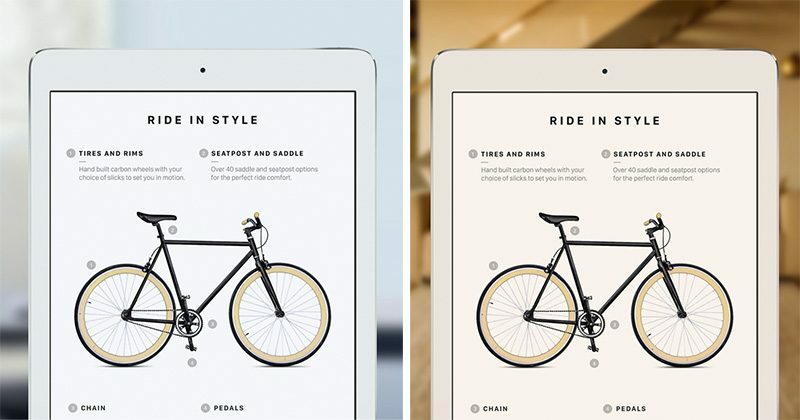 True Tone is not about "Apple's concept of how your stuff should look" it is about matching the display color temperature to the ambient lighting in the room. It is much more natural looking if I am reading a website on my iPad and the background color behind the text is warmer like the light in my living room. It really does look odd for everything else in the room to be bathed in warm light but my iPad screen to still be stark white. By matching the screen color to the room's ambient light it is more of an experience like reading a piece of paper. I really like the feature but if someone else doesn't, the feature can easily be turned off in settings. WOOPIE****INGDO. If thats a selling point lol. Everyones moved to HDR. I will take an S8 over anything Apple has to offer this year. Are you sure that you understand how the display works? I really don't understand why they would come out with three phones. A 7s/+ and an 8 or whatever makes zero sense. Great news. The True Tone display on the 9.7" iPad Pro is just awesome. Why is variable colour in a display desirable? Genuine question. I thought the goal with displays generally was accurate colour reproduction.. adherence to sRGB, Rec2020, etc. I don't see how adjusting the colour in the display according to the light you are in is helpful.. I get the night shift idea, reducing the blue light content in the evening.. that is the goal.. you understand that the screen will be yellower, and less accurate. But for general daytime use, wouldn't I want the display colour to be as accurate as possible, and all the time, regardless of the environmental conditions..? Brightness adjusts automatically, so you don't have an overly bright screen in a dark environment, but why would I want the colour accuracy to change?